GODSPEED YOU MY DARK EMPEROR !!! I discovered Planet of Adventure 35 years ago when I was quite young and I remember having spent full Week-End night an day reading it. When you grow up, you generally change your set of favorite author but this never happened to me with Jack Vance. Rest in Peace, Jack. Dank voor uw boeken, ze hebben ons leven beïnvloed. Onze katten heetten Anacho, Yilin Ylan en Traz Onmale die 21 jaar oud is geworden! Tschai en de Duivelsprinsen zijn onovertroffen! A toast to this great and wonderful man. He has been a huge inspiration to me, as well as many others. He will forever live on through his work. May those in the present and future find his work and enjoy it greatly. To Vance! May he continue being an amazing man, author, and jazz musician wherever he may be now. While it wasn't the first book I ever read, the first book that truly made an impression, and the one I remember most clearly was The Dragon Masters. I was lucky enough to have an aunt who recognized how much I enjoyed it, and she gave me her copy, along with all the other works of his that she had. I re-read the Lyonesse trilogy at least once a year, along with the Demon Prince series. I loved the use of language, and learn something new every time I read one of his works. He will be missed, and I count myself fortunate to have read him at all. A toast to Jack. Thank you for everything! As a nearly life-long fan, this news really saddens me, but I'm going to try to draw comfort from his incomparable body of work and his magical worlds. Sheri & your sister inlaw Beverly. I have loved Jack's work since I was a teenager. Jack's use of language captured me. His characters could be so charming and cantankerous at the same time. As an adult, when I found out about the Vance Integral Edition, I both ordered a set, and did volunteer work on preparing one of the books. My most memorable experience, as part of the VIE, was spending an afternoon at Jack's house in Oakland...with Jack playing the banjo and kazoo. Even though he had a house full of of people and completely blind, he still disappeared for a few hours to work on his next book. I found that an inspiration. I had just started reading Lyonesse once again, when I found about his death. Thank you Jack for making my world a better place. Here's to your memory Jack . You were the first author to make me laugh out loud , the first to make me shake my head in wonder and admiration , and you will always be the only author whose books I will return to again and again ( and again ). Only rarely does the written word evoke a similar rapture to that given by music . To me the preposterously florid exchanges between Jacks most loquacious characters fills me with a delight comparable to a blues guitar solo , a Wagner climax , or indeed a Benny Goodman phrase . I can think of no greater tribute . Read the first 'Dying Earth' stories in the mid-fifties and it was so obvious he was someone unique in Fantasy/SF literature. will always be grateful for his distinctly imaginative and creative work. I am a painter of abstract landscapes and while it may be difficult for someone to directly connect them with The Dying Earth, I know that somewhere a connection- an inspiration - exists after all this time. Thank you Jack. To Jack Vance, certainly one of the best writers of English prose the world has ever known, "not fare well, but fare forward." mentor, my moral guardian since I read Telek at the age of sixteen. His insights into the human condition, his wit, his playful entertainments, his exuberance, his sheer joy in the reality of being alive and participating in this game of life have been my touchstones to reality. When faced with real moral dilemmas in the real world, I have asked myself: How would Adam Reith respond; what would Gastel Etzwane now do? I have only tonight heard of his passing and send my sincere and heartfelt condolences to his family. He was a father to us all. Thank you for your many tales of mystery and space opera. God speed on this your next adventure. The Eyes of the Overworld will surely smile kindly upon you. Good night sweet prince. My thoughts and prayers to John...Tullyvale Baile Cilldara Eire. Thank you for all that you have given to this world. Your books have brought me so much pleasure and inspired me to become a writer through wich I experienced the joy of writing about or creating entire new worlds. I will always admire your work and take you as my big example. Rest in Peace Jack. Reading and rereading your books gave me inspiration and joy. You will be missed! My admiring toast to the greatest SF and Fantasy writer ever! The writer whose work I have read and re-read dozens of times. He has given me (and still does) so much pleasure when I get engulfed by his colourful imagination and insight into what makes people (even the strangest and most alien people) tick. I wish his family strength. I would gladly clear a bookshelf if a fairy could deliver all the stories Jack Vance ever wrote. My ex (bless him) took his books when our ways parted. A hugely inspiring author for me. He could sketch a character in a sentence and evoke a whole world within a few paragraphs. He was a genius. May his spirit live on to create many more wonderful worlds. Well over 30 years ago, still in my teens, I first read The Star King. I loved it, the first of The Demon Princes. Over the years I've read and reread all books by Jack and will continue to enjoy them. Thank you for all your wonderful stories, Jack. Thank you, Jack Vance, for all of the happy hours that I spent reading and re-reading your books. We will continue to cherish your legacy. The Dying Earth seems that much closer and darker with the passing of Jack. Thank you, Jack for inviting me into your life in every way possible, starting as a child of 11 and reading you for the first time and now ending with tears in my eyes remembering my visits with you and John and Norma. To this day I don't think you ever appreciated exactly what you meant to our genre, though towards the end, even you could not deny the extraordinary praise that came your way. Re-reading your books will help me overcome this sadness I now feel, but damn, Jack, I'm sure gonna miss you. Few writers have come remotely close to what Jack Vance achieved in his lifetime. Even fewer people have affected my life in the way that he did. No words we could say to honour him in death could redeem him for those he honoured us with in life. He will always, always be loved and always, always be missed. Thank you, Jack. A toast to you. I became hooked on Jack's work after reading The Star King as a 14-year-old. I've read most of his books and enjoyed them all. I'll always revere his memory. Condolences to his family. je t'ai lu et relu. ces lectures m'ont empli de joie. Je n'ai pas pu te rencontrer en chair et en os mais combien avons nous partager d'éternité, toi à écrire, moi à te lire. La voie est tracé à présent. Jack was one of the truly original lights in the fantasy universe. The Dying Earth has illuminated my own life for the past forty years. He will be missed, but his body of work will sustain his legend. A great writer who provided me many hours of joy and in future many more of those hours will follow. Thank you for this! 96 years..... and still the message of his death was a shock to me. His stories fired my imagination. He was able to build worlds - they were alien and yet vaguely familiar, crystal clear with a few strokes of his pen. Thank you - John Holbrook Vance and rest in peace. So much of my imagination was filled by Jack Vance when I was younger. The Magnus Ridolph stories and others had a strangeness to them that has haunted me to this day. He could be slyly funny or deeply repellent, and there was a hard realism to his work that distinguished it from most other science fiction writers. I regret never sending him a thank you letter but perhaps he can hear me now: thank you so very much. It's been a glorious trip, and my life has been made more meaningful by your strange dreams. 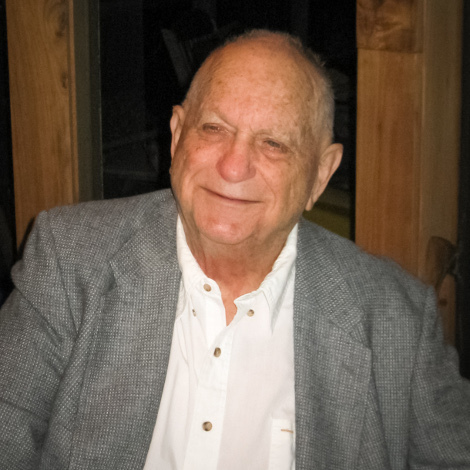 A great treasure has been lost, but Jack Vance had a great run! He will continue to enrich my life through many, many rereadings of his books in years to come. Thanks. My favorite writer. I can think of little that has given me so much joy as reading the stories of Jack Vance. Thank you. From Vienna, Austria. Words cannot describe, how important Jack Vances's prose has been for me. Ever since I had read my first Jack Vance book (Maske: Thaery) at the age of 12 or so, I have been looking for books of him all over the world. He became a part of my life. RIP Jack Vance, adored grandmaster, I salute you for endless hours of joy and wonder, fantasy and adventure! You will never be forgotten! Dear Jack, as a young boy I read the first pages of Turjan of Miir, and for years afterward was haunted by dreams of other, stranger places. These dreams are still vivid in my mind. Much later I read "The New Prime", and since then your stories have continued to marvel and amaze me in their wonder, intricacy, vitality, and beauty; and above all in their intelligence. How describe this feeling of loss? How express this sensation of wonderlust and joy at the thought of reading all your stories again and again? Your wonderful creatures parade before me: Shimrod, Visbhume, Turjan, Zap 210, Derwe Coreme, Madouc... All your amazing and colorful places, castles, manses and workrooms: Lally Meadow, Trilda, Embelyon... Thank you so much, and travel well. "What great minds lie in the dust... What gorgeous souls have vanished into the buried ages; what marvelous creatures are lost past the remotest memory...Nevermore will there be the like..."
Un très gros pincement au coeur en apprenant la mort de Jack Vance. Lire et relire ses romans est et restera un enchantement. Mr. Vance greatly influenced my favorite game, Dungeons&Dragons, and Ion Stones will be forever orbiting in any game I'll hold in a future. Last night I looked up and noticed a new star North of Achernar. As if the constellation of the Dnazd had a fresh rider it drove off as I was watching, and were it not for the speed of imagination it would surely have been lost forever. Adventurous travels Jack! I met Jack when he was guest of honor at Hillcon in Rotterdam in 1981. I still have fond memories of talking to him late at night at one of the numerous parties which he was attending. He was a complete different man as I had imagined. Full of fun and down to earth when it came to things which interested him. I have always loved his books because of its imagination and the wonderful details he put in. It is a real loss knowing that no more new stories will appear from his hands. Thank you Jack for all the great moments I have had reading your books! My love of reading was encouraged from an early age by my mother. She was a very capable woman who could turn her hand to many things - decorating a cake or a house, making clothes or kitchen cabinets, and even a bit of plumbing. Her interests were amateur dramatics, bridge, and of course, reading (almost exclusively) crime fiction. She was, as the saying has it, "nobody's mug". My father read only the newspapers! Like many boys of my nationality and generation, I was introduced to science fiction - an awkward appellation - by the advent of the Eagle comic in 1950, which, with its full colour printing on quality paper, was a revelation to kids in post-war Britain. The impact it had was akin to the impact the "Star Wars" films were to have, many years later. I was immediately captivated by the font page strip "Dan Dare - Pilot of the Future", which was very skillfully drawn for its time, and the wonder of the possibility of space travel was to stay with me for the rest of my life. When I became a teenager in the mid 1950's, my mother would read up to two books a week. The authors included Agatha Christie, George Simenon, Earle Stanley Gardner, Mickey Spillane and many more less famous. At this time I was discovering the likes of Jules Verne, H.G. Wells, Arthur Clarke, Isaac Asimov, Jame Blish, Eric Russell, C.E. Maine, August Derleth, A.E. Van Vogt, and any others whose books I could find in the local libraries. I hasten to add that I did read other kinds of book as well. Not many 15 year olds have read "V2" by Walter Dornberger, or Sir Thomas Malory's "Le Morte D'Arthur" (a struggle in medieval English). When I ran out of books, and had read all the cornflakes packets and such, I sometimes picked up one of my Mothers books. I remember the first one I read was Agatha Christies "The ABC Murders", which didn't excite me very much. After I'd read 6 or 7 of her books, she learned of my general opinion, and told me that the novels of Ellery Queen were "the best", and that I should try some of those. I never did get around to this, however, and the years passed, and, as boys do, I left home and got married. My parents sadly passed away in the late 1970's and, incidentally, never witnessed the growth of the personal computer. At some time along this path, I discovered Jack Vance, the writer who was to become my favourite author, (my first book being "Star King") and gradually I became aware that, due to his ability to transport his readers to his richly imaginative worlds, his pace, his terse way with dialogue, and plots some of which are worthy of Shakespeare, I was able to read his novels over and over again, and still enjoy them. I also found his descriptions of things, places and colours seemed to have been made with an artist's eye, and as a professional artist myself, this also intrigued me. My collection of Jack Vances' books numbers over 40 as of now, and in an effort to make sure I hadn't missed any, I used my computer to surf the internet in order to find a complete bibliography. During this search, lots of details of the authors life were revealed, many of which I already knew from book jackets and sleeve notes. For instance, I knew that he was an award winning author of science fiction, but I discovered that he was also an artist - a potter - (I was right! ), and an award winning author, in earlier years, of crime fiction. Further, to my immense surprise, I learned that he had sometimes ghost-written under the name of none other than Ellery Queen! I can't help wondering if, by some genetic trait, or element of parental direction, Jack Vance managed to trigger similar emotions for both my Mother and I, using different genre. Whatever the reasons, it is certainly an amazing coincidence. Jack will be missed by many, but never forgotten! Bili ste najlepše besedljiv in očarljiv pisatelj, ki sem jih kdaj imel veselje brati! Dovolili ste mi pogled na brezčasne kraje in goreče dogodke, ki si jih nikoli nisem mogel prej zamislili. Ne bom vam želel, da počivate v miru, ker ste se samo preselili, pred nami, v dežele otožno daleč, kjer boste večno bivali s svojimi veličastnimi junaki v pokrajinah najbolj živih. V času, ki bo prišel, bi vas tam želel srečati. Dear Mr Vance, you were the most eloquent and enchanting writer I have ever had the joy to read! You allowed me to gaze upon timeless places and fervent events I could never before have imagined. I will not wish you to rest in peace as you have only moved ahead of us to the lands of wystful afar where you shall abide forever with your magnificent heroes in landscapes most vivid. In the time to come, I wish I could meet you there. not much to say, thanks for your life and books and may you rest in peace! As for many the first stories by Jack Vance I read were those taking place on The planet Tschai. Since then many stories followed. In fact I have now all books translated in my language. Dear Mr. Vance, many, many thanks for all the great stories you produced. Your name will live forever via your books and mark my words: once planets we are now discovering in real life will be named after you or the ones you created. Thanks for many, many hours of reading and (more recently) listening to Cugel's stories, Tchai, Demon Princes, and dozens of other great books. Still my favorite writer, because of his competent unique style, witty and highly original. Fortunately all Jack's books are now for sale on www.jackvance.com in ebook form, giving everyone the opportunity to familiarize themselves with his splendid work. Thanks for all the hours of reading pleasure I had and will have from your books. Thx for all your great stories! I have been reading and re reading Jack's novels for 45 years. He is a giant in literature, Science Fiction, and Science Fantasy. If there is life after death, I am sure that Jack will be composing stories wherever he is. He gave so many people so much enjoyment and was so influential to so many writers. What a great and rich life! Well done Jack, you found a great purpose in your life and you leave behind a priceless legacy. My kindest thoughts to his family at this time of sadness. Mr. Jack Vance will be truly missed. One of the giants in American literature, he was not only a Science Fiction writer. He was a storyteller with a unique style. Rest in Peace. J'ai découvert la SF avec La station Araminta à l'àge de 12 ans, un quart de siècle avant. Jack Vance has forever sparked my interest in the reading of science fiction and fantasy. A deep bow from the Netherlands to the Grand Master of F&SF. umbra sumus et Jack Vance, SF genius. Howsoever bright the sun burns overhead, in my mind's eye it will always have the ruddy tinge it cast in my childhood... Like the giant in the children's story whose shadow made the sun blood red, you have colored the dawn of all my subsequent fantasy worlds. Nadie como Jack Vance para transportarnos a mundos increíbles. Gracias por Kirth Gersen. Your books carried me away to other worlds and inspired a lifelong love of fantasy and science fiction. Thanks Jack.